St. Paul's is blessed with an abundance of resources. We are very grateful, and we make every effort to not waste what we've been given. Para Los Niños is an organization we are fortunate to be partnered with. We have been able to donate some of our resources so that they can continue to be used. 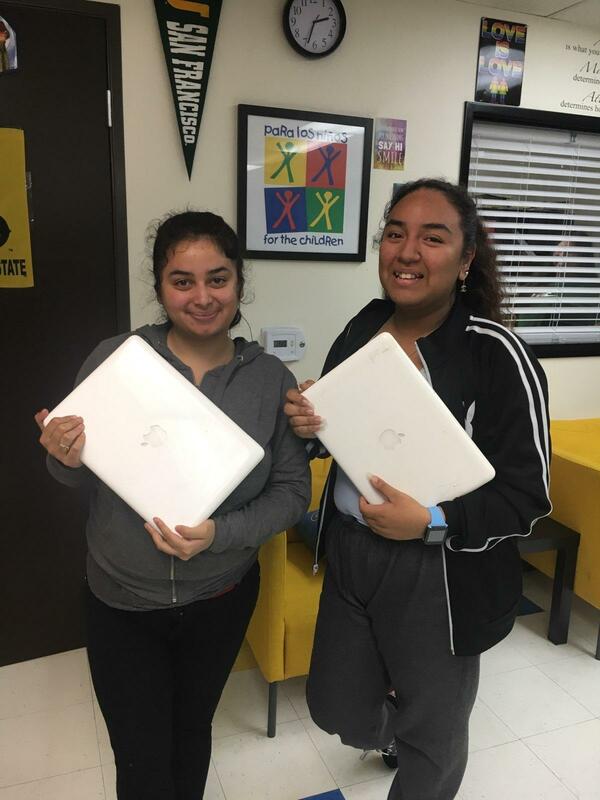 We had an opportunity recently to donate some of our macbooks for their students. "Thank you so much for securing the laptops. Our students were so excited and thankful. 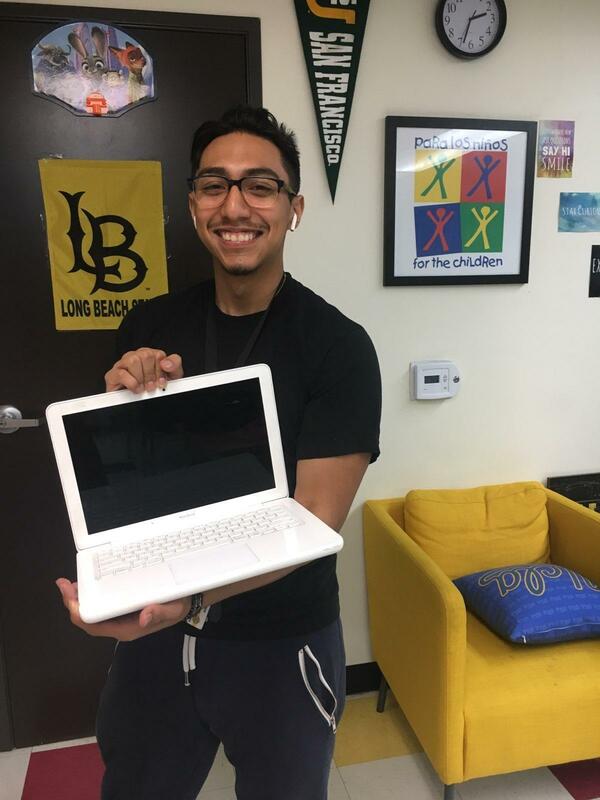 Beto who received the laptop (his picture is attached) is going through a lot at home and completed his first semester as a pre-nursing student at Cal State LA. He was been coming to the center to work on his school work because he did not have access to a computer at home. Beto was concerned because he is starting a job and was afraid that he would not be able to come to the center during business hours to complete his schoolwork. 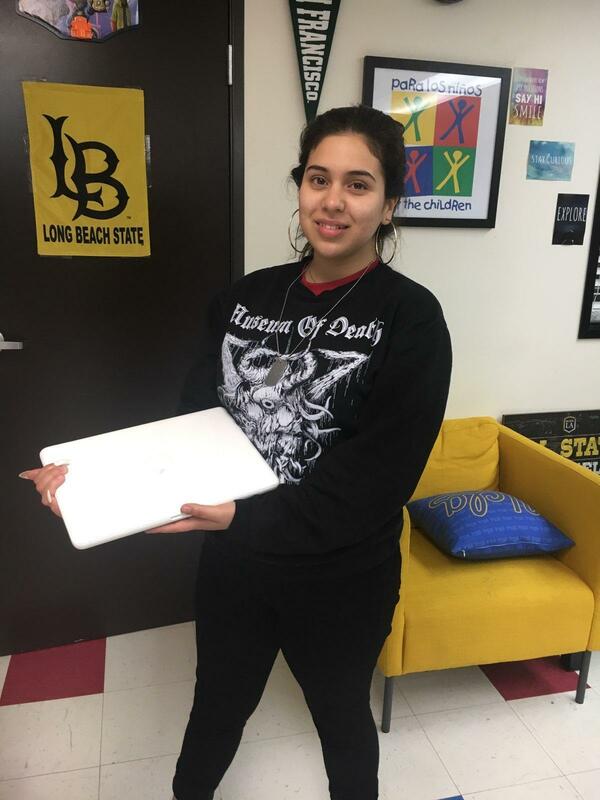 He mentioned that he is so grateful and having the laptop will make his life so much easier because he will be able to complete his research and school work at home."